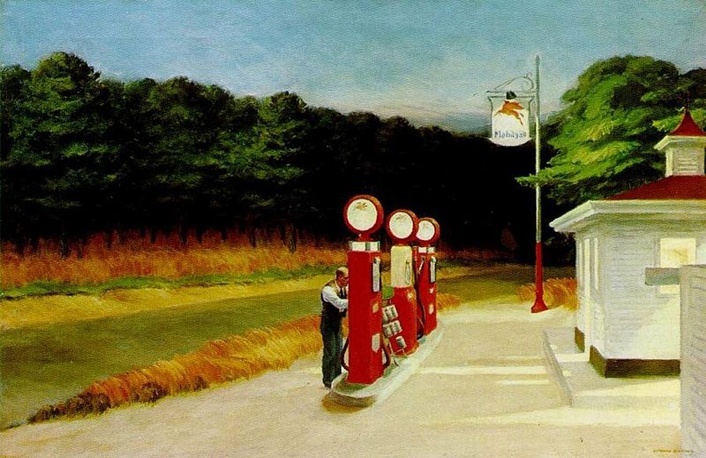 To Americans Edward Hopper’s (1882–1967) art epitomises their country during a period of change in the early-mid twentieth century. As skyscrapers rose up in New York, Hopper observed the isolation of modern living in a crowded city. In the countryside he observed the landscape in all its beauty and the vernacular architecture of rural and suburban America. Above all the lives of individuals were observed without comment; Hopper left it to the viewer to complete each narrative. 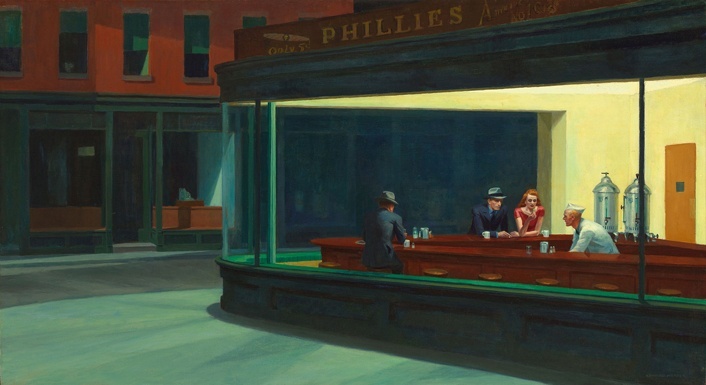 The American artist Edward Hopper (1882–1967) was a popular portrayer of atmospheric modern life, from his depictions of the isolated and pensive figures in the city to the quiet intensity and melancholy of his houses and seascapes.